Just because you are having problems with your eyesight does not mean you have to resign to your fate of not being able to see the world around you better. An optician is here to help you. An optician is also called a dispensing optician. They are trained to help ophthalmologists and optometrists by filling eyeglass and contact lens prescriptions. Their main role is to fit, make and dispense eyeglasses and other eye correction instruments, to improve the patient’s vision. 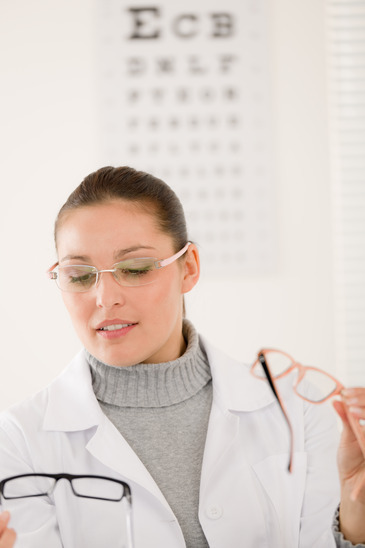 Opticians do not perform medical tests and other duties performed by an ophthalmologist or optometrist. Helping people see better and look good is the nature of an optician’s job. They analyze and interpret the eye prescriptions written by eye doctors. They are also the ones responsible in determining which lenses would best meet a patient’s need. An optician’s job is quite exciting in the sense that, they are responsible in selecting and fitting the eyeglasses that would allow the patient to see better. An optician can seek further advancement in education and training which allow them to specialize to fit contact lenses, artificial eyes, or cosmetic shells to conceal a blemished eye. These opticians measure the size of the eye and select the best contact lens material. Having eye problems should not stop you from seeing the world around you better. With the help of an optician, you can have the eyeglasses or contact lens that you need to see and still look great!